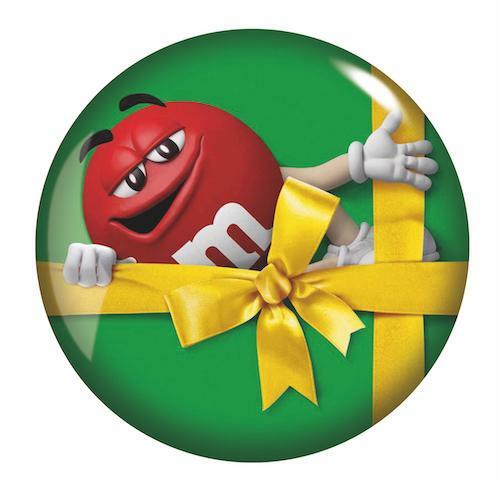 Celebration is one of the four shopper needs that drive purchase of confectionery in global travel retail and Mars Wrigley International Travel Retail is meeting that need this festive season with two bright and colourful M&M’s® tins featuring iconic Red and Yellow. The multi-coloured tins are in traditional seasonal colours of green and red with a yellow ribbon to add that essential festive touch. Containing 330g of Peanut M&M’s, the tins are on offer in key airports including Amsterdam Schiphol, London Heathrow and Gatwick, and Oslo, with special gondola displays and multi-buy price offers adding to consumer appeal. Alongside Celebration, Mars ITR has identified three other prime reasons for purchase in global travel retail: to Recharge, to Reward and to Connect. “Purchasing is primarily to Connect but Celebrate comes a close second and November/December provides a key opportunity with Christmas and Western New Year,” says category director Raghav Rekhi. “We know that travel spikes over the various seasonal celebrations and passengers are invariably looking for gifting items to take to friends, family and loved ones,” continues Rekhi. “For Mars Wrigley ITR, seasonal propositions are essential to driving sales within travel retail but it’s important to offer gift lines that are relevant to the occasion and the region. For example, earlier this year, we created a special Galaxy Casket 650g for Eid and Diwali across key touchpoints in the Middle East and India. Galaxy is a major brand for us in that region and the product was perfect for the gifting and sharing nature of these key festivals.” The festive M&M’s tins will be available through the Christmas season and are expected to appeal to all ages. “Our strategy is to drive incremental growth for retailers by driving penetration through seasonal relevance. M&M’s® is a winning global brand, and is perfect to leverage for the festive season,” continues Rekhi.